The Fall – from September to mid-November – is a very favorable season for bird watching on the coast of China, since the island is right on the east-siberian flyway and the food supply on the vast mudflats attract many birds migrating from the northern breeding grounds to the wintering areas in more southern climes. If you are lucky, you will find many of the winter guests with breeding species together. Sometimes you are almost overwhelmed by the abundance of species. So much, that it is hard to keep track of all observations. 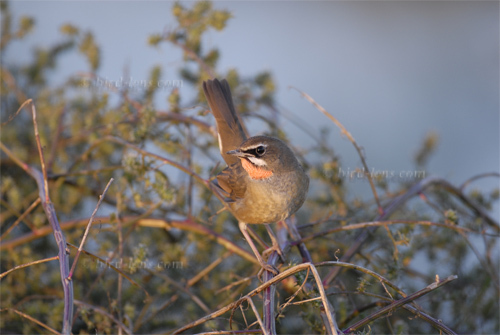 Every morning there is something new – here is a Dusky Thrush (Turdus naumanni), there a Mugimaki Flycatcher (Ficedula mugimaki), the next day a Siberian Rubythroat (Luscinia calliope), then a Orange-flanked Bush-Robin (Tarsiger cyanurus). 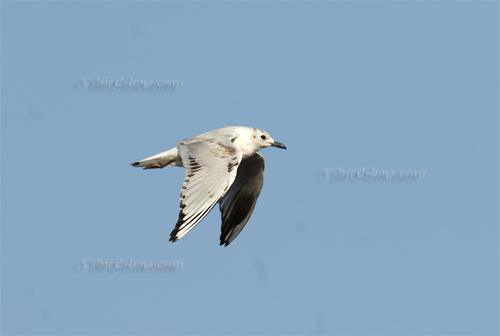 A nice selection of bird images of that trip can be seen in the gallery. 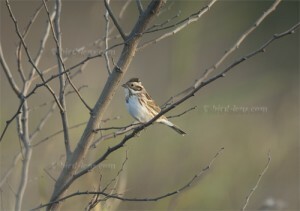 A special is the fact that there are at least 10 Buntings (Emberiza species) to observe. 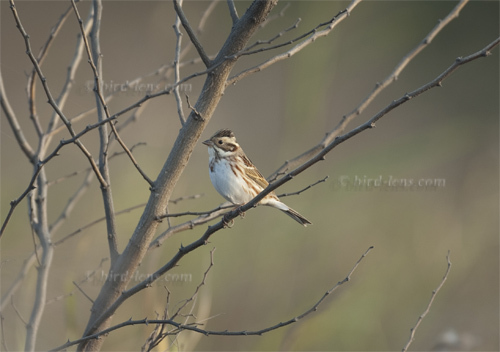 You can see Pine Bunting (Emberiza leucocephalos), Tristram’s Bunting (Emberiza tristrami), Chestnut-eared Bunting (Emberiza fucata), Little Bunting (Emberiza pusilla), Yellow-browed Bunting (Emberiza chrysophrys), Rustic Bunting (Emberiza rustica) , Yellow-throated Bunting (Emberiza elegans), Black-faced Bunting (Emberiza spodocephala), Pallas’s Bunting (Emberiza pallasi) and Reed Bunting (Emberiza schoeniclus). I was happy to experience a trip to Happy Island at the end of October. A 10-day trip in 2007. So far so good with the the character of Happy Island in comparison to the vagrant hotspot Helgoland. What Helgoland does not have are resting cranes. But on Happy Island……. Previous PostBirds in autumn in the Comana Natural Park / RomaniaNext PostInflux of Hawk Owls (Surnia ulula) this winter?